2080 119th Lane Kalona, IA. 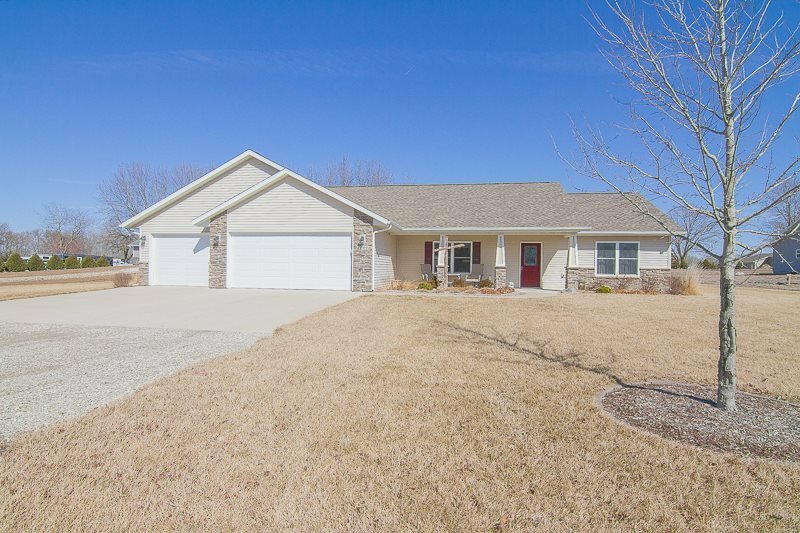 | MLS# 20181030 | Kalona Realty, Inc.; Listings and Selling property in greater Washington and Johnson Co. area. Sprawling ranch style home with open floor plan. Vaulted ceilings, kitchen with walk-in pantry, island with breakfast bar, built in microwave and dishwasher. master bed and 3/4 bath with molded sink vanity and walk in closet. Dining room with sliding doors to patio. Large laundry room located off garage and kitchen. Three car attached garage, large lot and 20 x 40 shop, partitioned with heat and two overhead doors. Negotiable: stove, refrigerator, washer/ dryer.